I am learning HDR recently. 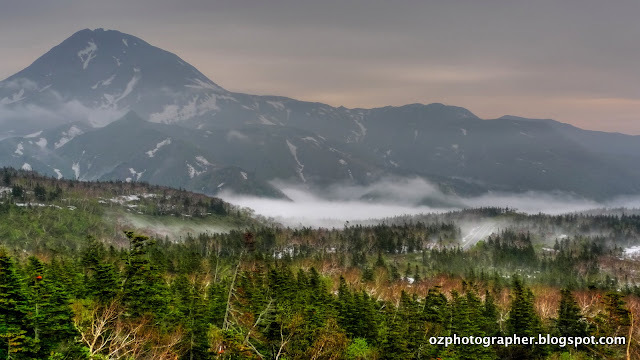 These are my first two HDR pictures generated from 6 AEB pictures I shot in an early morning in Hokkaido, Japan, by using Photomatix Pro 3.1, the most popular photography software for creating High Dynamic Range photos easier. HDR stands for High Dynamic Range imaging, "is a set of techniques that allows a greater dynamic range of luminances between light and dark areas of a scene than normal digital imaging techniques. The intention of HDRI is to accurately represent the wide range of intensity levels found in real scenes ranging from direct sunlight to shadows." AEB stands for Auto Exposure Bracketing, an automatic exposure feature available on some more advanced cameras, which allows the camera to take several successive shots with different exposure combinations. Initially, in the age of film photography, this technique was mainly for obtaining the most correct exposure, especially with chrome film because of its small exposure tolerance compared with negative film. 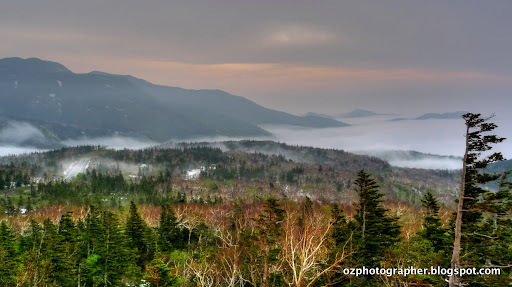 Nowadays, in the era of digital photography, it can also be considered as a convenient method to shoot pictures for High Dynamic Range imaging.